If you’re a software developer based in the bustling heart of London, the chances are you’re already well aware of the Agile methodologies are and how they influence your everyday professional life. However, using them individually or as part of a small team can be hard work, especially once bad habits or misunderstandings start to creep into the process. This is precisely why Agile meetups exist. Based on the Agile Manifesto written back in 2001, implementing the Agile processes has never been easier for businesses and teams. Now, thanks to the introduction of meetups, you have the unique and exclusive opportunities to make the most of this process. Of course, there’s the chance to collaborate, socialize, improve your skills, share your knowledge, make new friends, and generally improve all aspects of how you use Agile. Today, we’re going to explore everything you need to know about the London Agile meetup scene, as well as detailing all the events you need to know. What are the Benefits of Attending an Agile Meetup? Continuing from what we spoke about above, there are plenty of benefits to attending an Agile meetup that can not only add a social aspect to your career but also helps you improve your professional journey dramatically. Sometimes it can be hard to find people who are as passionate as you are about your career choices, especially when software developing because it can be quite a niche industry. However, attending an Agile meetup means you get to meet plenty of like-minded individuals and groups of people. Of course, you never know what professional opportunities can come from meetups like this. After all, much of life is not what you know, but who you know. It’s very common for Agile meetup individuals to meet up in a more casual setting, sometimes becoming friends for life! When it comes to Agile, there’s always room for improvements. However, when you’re working by yourself or within a small team, sometimes you may find it difficult to find the answer to a problem, and, like most things in life, the information circulating in a small circle can become very restrictive. Through attendance of a meetup, you can open yourself up to more opportunities to learn new things, new skills, and new approaches and perspectives that come together to help you make the most of Agile. 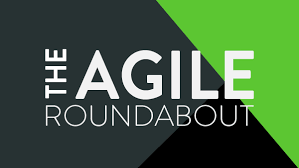 Due to the nature of Agile meetups, there comes the opportunity for you to enjoy and engage in a selection of activities organised by the meetup to help broaden the range of Agile experiences you have access too. These could come in a variety of different formats, from inviting speakers who are leading the Agile and software development industry to partake in workshops and sometimes even enjoying exclusive course access. As you can see, if you’re involved in any part of the software development industry and you’re implementing Agile into your workflow, there are a ton of benefits you can get from attending the meetups. However, the question remains; which are the best Agile meetups to go to? Below, we’re going to explore the six London-based meetups you need to know about!! Founded back in 2014, Agile for Agencies is one of the longest standing Agile meetups in the city, and with over 831 members, it’s one that grows every year. 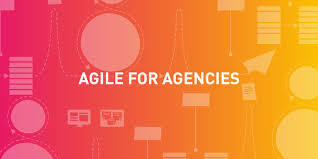 With 19 successful meetings under their belt, Agile for Agencies covers everything. Regardless of what part of the software development industry you’re in, whether that includes the SCRUM processes or project management areas, this is the meetup for you. The meetups typically run on a specific topic for each event and include workshops, courses, and speakers, all created to help you make the most of the Agile Manifesto. TAR is a more recent take on Agile meetups, and while it was only founded back in 2016, it has amassed well over 7,500+ members in London alone and has hosted over 35 successful events, making it the most popular Agile meetup in the city. Adventures with Agile is a prevalent Agile community (home to over 3,500+ people) but is most famous as the London branch of this worldwide Agile community. More suited for experienced Agile groups, the sessions here vary between speakers and workshops, but on an advanced, and usually a specialist, level. Averaging around 100 people per meetup, yet still attracting some of the most influential people in the Agile community and world, attending one of these events is an adventure that’s sure to stick with you. If you’re looking for a way to make the Agile Manifesto your own and implement it in your way where you can make the most of it, but you’re not sure how; Agile in Covent Garden could the ideal meetup to help you materialize your goals and ambitions. AiCG aims to deliver four key aspects of Agile, including an emphasis on building a supportive and collaborative Agile community, helping people and companies develop their Agile process to the best of their abilities, allowing you access to exclusive events like speakers and workshops, and delivers unique coaching sessions. Founded back in 2014 and accommodating over 1,500+ members throughout 33 meetups, this is one of the largest and most diverse Agile meetup groups you’ll find in London. 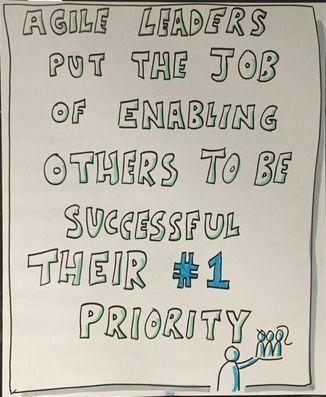 #5 – Agile Leadership Works! Tackling and educating on all areas of Agile, from personal development to project management, and even specifics like communication and Kanban, Agile Leadership Works! is exactly what the title suggests. These particular meetups aim to gather industry leaders and speakers from around the world, uniting them to give you a unique insight into the Agile world while inspiring and educating you with everything you need to know to get the best out of the practice yourself. If you’re a leader of an Agile team, this meetup should be near the top of your list! Last, but certainly not least, we have LADG, the oldest Agile meetup in London having been founded back in 2012. LADG is renowned for being one of the most proactive meetup groups boasting 130+ events over the last six years and having connected over 2,400+ members. Each session hosted by LADG is crafted into a bespoke lesson or workshop that allows you to entirely focus on a specific aspect of Agile, regardless of what skill or experience level you are. Of course, there’s also a dedicated social side to help you connect with other like-minded professionals.